No, no, far better (and much more fun) to fly by the seat of your pants. Hence, the popular term ‘pantser’. And the totally unnecessary picture above. Yes, I always had an idea of how a story starts and how it ends (and most of mine do so happily), but you could outline that planning in three sentences. ‘Student girl and boy swap bodies with a middle-aged couple. A scientific experiment they didn’t know about. They swap back,’* kind of thing. Until a few weeks ago, that is. There I am, minding my own business, muddling through the messy middles of several books and wondering why my characters keep getting distracted from their real purpose when an email wings its way towards me. Nick Stephenson is an indie success story who also teaches the art of writing and selling your own books. He is currently trying to persuade me (and others, I don’t get personal emails from him) to sign up for his Story Engines course, one of those write a book in a month type programmes. The freebie incentive is a pdf that outlines basic plotting, showing how it works through demonstrating its application in popular novels such as The Great Gatsby, Me Before You, The Hound of the Baskervilles and Tripwire. The premise is you first work out who is the hero, who is the antagonist, what’s the conflict and what’s at stake. Then, you set out a rough plan for a preparation phase, then a reactive phase, a proactive phase and then the end. Each stage is marked by a gamechanger. I’m summarising. And making it sound formulaic. Not all great writing does this or needs this. There might be one or more heroes. An antagonist might not always be that way. Gamechangers can vary significantly in scale. But when I worked out a two-page plan for three of the projects I’m working on, it was easy to see what was missing, what was in the wrong place and what was doing nothing for the plot and/or character development. I’d argue that plotting is more straightforward to do once you are into a book. By that point, you know your characters well, and you know what will be a gamechanger for them. Start with your general idea, write about a third of your book and then hone. That’s my advice anyway. *And there you have it. 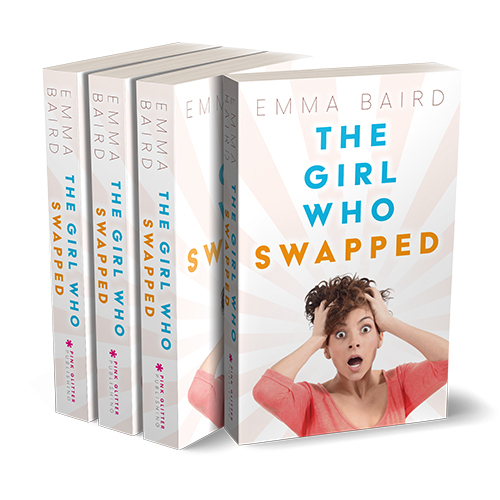 The spoiler-free plot for The Girl Who Swapped. I’m with you. I don’t know how writers manage to complete a work without SOME kind of outline. Funnily enough, I set out to do some writing last night, but I’m at the bit in the middle that I hate (I love writing the beginning and end of a novel, but the murky middle, not so much). However, when I re-read the story plan I’d made up the other week, it was easy enough to work out what was missing and get on with it. Definite convert! Thanks, Mike. I love free writing because it does seem to come out of nowhere and give you a lovely surprise, but I plot things now so I have a structure for every chapter and it helps.